Home »	Patient Stories »	Dan B. “You don’t feel like a patient here,” said Dan Bell. “You feel like a guest.” Dan’s cancer diagnosis is actually his fourth bout with the disease. In 2006, he was diagnosed with melanoma then sarcoma in the same year. Three years later, prostate cancer was found. But he came to Provision for treatment of Stage 2 and 3 rectal cancer. His doctor advised chemotherapy and radiation to shrink the tumor prior to surgical removal. Bell opted for “light” chemo—one that would preserve his hair and his beard—and came to Provision based on the recommendation of a friend who’d had therapy for prostate cancer. He credits his wife Joy with supporting him through each of his bouts with cancer—as well as the rest of his life. 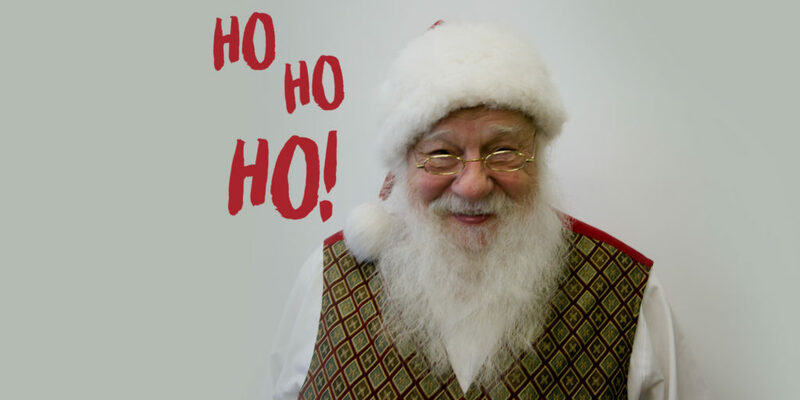 From country music radio to Santa Claus, Dan Bell’s career has been nothing if not eclectic. Originally from North Carolina, Mr. Bell got his start in radio at age 13, hosting a one-hour Saturday show on his local small-town station. He eventually landed in Knoxville at noted country music station WIVK, where he worked the news desk, gave traffic reports as the “Eye in the Sky”—“I got paid to get high twice a day,” Mr. Bell jokes—and hosted a four-hour weekend show called the Sunday Survey. The show was revived a couple of years ago with Dan as host on WMYL 96.7, known as Merle FM. During his time there, Dan got to know Dolly Parton, Larry Gatlin, Ronnie Milsap, Dan Seals and other noted country music stars. One time, the Statler Brothers were listening to WIVK as they drove through Knoxville and stopped by the station to sing Dan “Happy Birthday.” Every two months, he traveled to the Grand Old Opry, where he hung out backstage, meeting Nashville’s greatest stars. Later he worked for FM and AM stations based in Dollywood, Dolly Parton’s theme park in Sevierville, Tennessee. On evenings during the Christmas season, Mr. Bell grows out his beard and hair, colored snowy white for the occasion, at Shadrach Christmas Wonderland at the Tennessee Smokies baseball stadium in Sevierville, a job he takes seriously. He’s a member of the Tennessee Santa Association, has attended “Santa University,” and gets his beard and hair colored snow white each year to make his Christmas transformation complete. The rest of the year, Dan drives transport vehicles for Chariots of Hire, chauffeuring groups on tours and mission trips as far away as California. “If I had a nine-to-five job, I would probably go crazy,” he said. Besides needing to make sure he takes a nap before his Santa night-shift, Mr. Bell says proton therapy hasn’t hampered his lifestyle. Proton therapy attacks cancer while reducing damage to surrounding healthy tissue and organs, limiting side effects. That, along with the Culture of Care he experienced as a patient, has made this latest bout with cancer, while certainly not something he would choose, at least a lot more manageable.